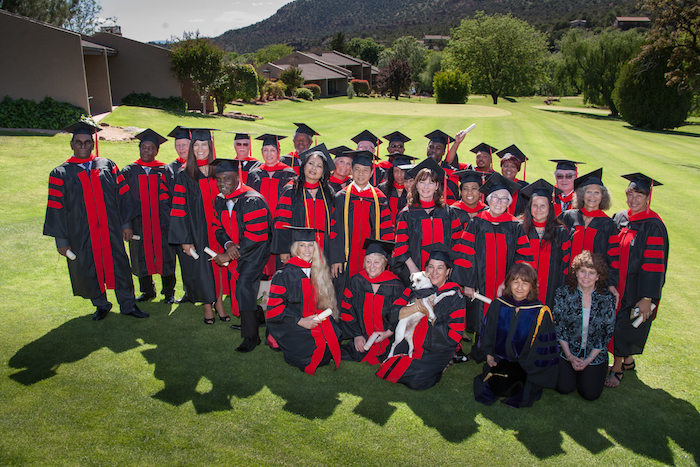 Our 60th Anniversary International Convention and Formal Cap and Gown Graduation is fast approaching. We are looking forward to having you join us for this momentous event. Gather with your peers, friends, family, and the University Staff in this milestone celebration, honoring our founder, Dr. Paul Leon Masters, and the wonderful institution he created 60 years ago. Celebrate with music and entertainment, international speakers, and a formal cap and gown graduation. Spend time in the glorious red rocks of Sedona. Meet up with friends you’ve met at previous graduations and make new ones in May of 2019. Dr. Masters was jubilant to shake every graduate’s hand after they walked across the stage to receive their diplomas, and it meant so much for him to have the opportunity to welcome every convention participant. He would always encourage members to attend so they could experience the connection with each other and the unique experience this gathering offered. 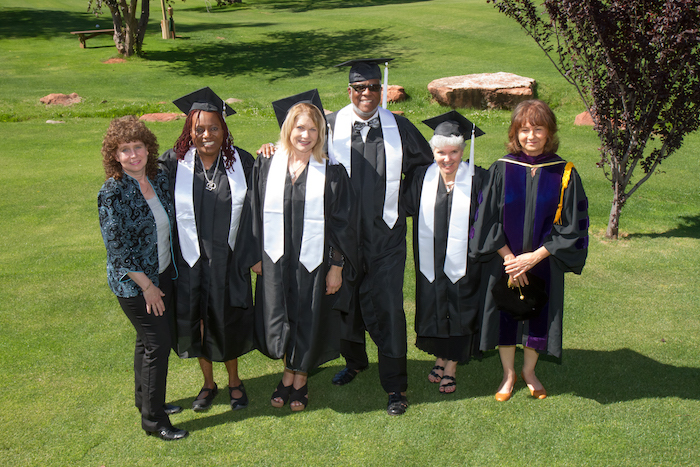 This gathering is an opportunity for all graduates—whether they be recent graduates or those who graduated years ago but have not yet been part of a formal graduation—to be honored at a formal graduation ceremony before those closest to them. Every Convention and Graduation is unique. New people from all over the world attend, and one gets to experience the diversity of the One Life of God being expressed in so many ways—as graduates forming new friendships or graduate speakers sharing with others. We’ve known of so many lifelong friendships beginning at our Conventions and Graduations! Serving the Light in you so you may serve the Light in others. 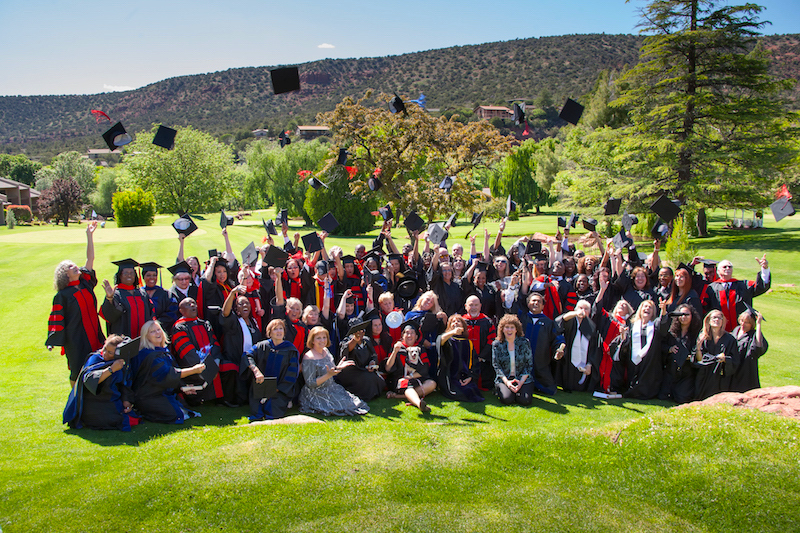 Our 2019 International Convention and Formal Graduation will take place at the Poco Diablo Resort in Sedona in Sedona from May 5th through May 9th. Our opening night will feature a banquet dinner and live entertainment. The next three days will be filled with inspiring speeches by our graduates all over the globe, sharing their life-improving and transformative knowledge and experiences. 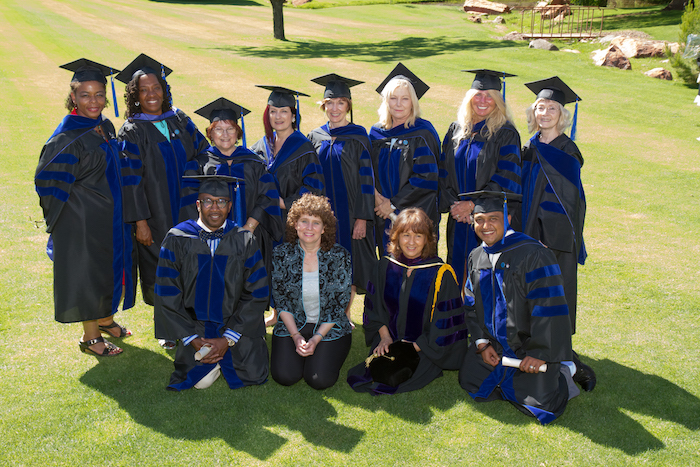 On the final day we will host the formal cap and gown graduation ceremony, where participating Bachelor’s, Master’s and Doctoral graduates can be honored before friends and family. 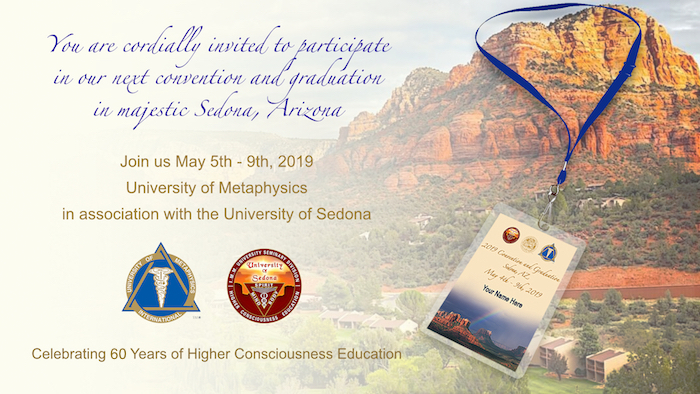 The intention of the Convention will be to present the deeper, more transcendent, and transpersonal part of our teachings together with practices to illuminate and stimulate the mystical and transcendent experiences of those attending. 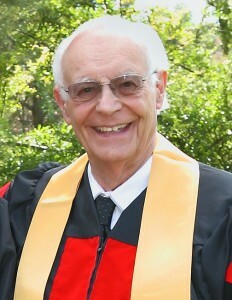 We extend our gratitude to our founder, Dr. Paul Leon Masters for establishing the IMM and its University divisions, which evolved into the largest metaphysical distance learning system in the world, and for providing IMM members the opportunity to spread the teachings as ambassadors of light around the world. We joyfully look forward to gathering in celebration of our historic 60th anniversary and honoring our graduates in 2019. 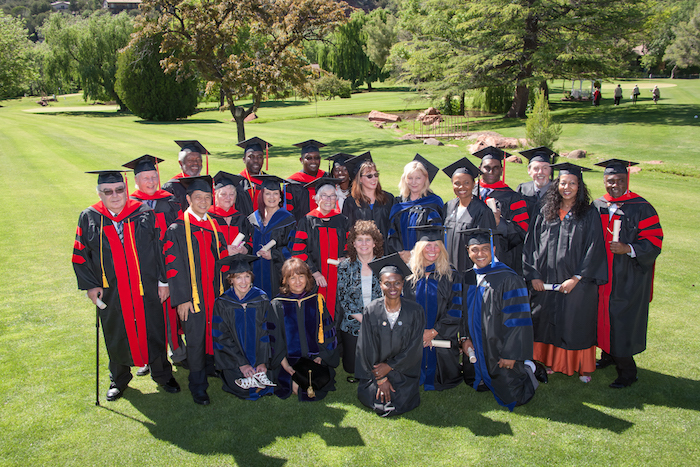 Formal cap and gown graduation ceremonies are usually conducted every three years as part of the international convention of the International Metaphysical Ministry University System. Formal graduation is optional and is not required to graduate. The ceremony may be participated in during the actual year of graduation, if a commencement ceremony is scheduled, or at any future convention. 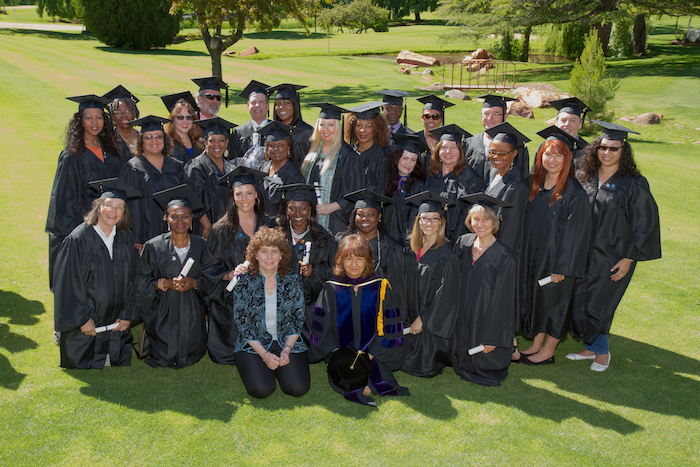 Those who have participated over the years have found the traditional graduation ceremony to be a wonderful experience, especially when family members and friends attend to support them. 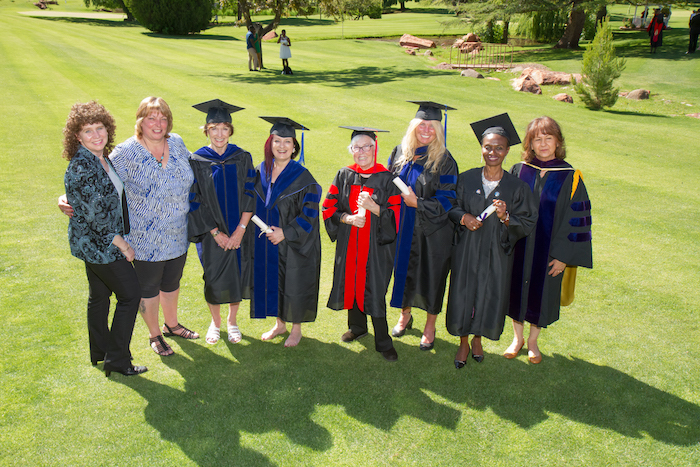 All recent bachelor’s, master’s, and doctoral graduates and those who graduated in years past and have not had the opportunity to walk at a previous graduation are invited to walk at the 2019 ceremony regardless of the year in which they graduated. The Convention will culminate with the Formal Cap & Gown Graduation on Thursday, May 9th, 2019, at 2pm. January 31, 2019, is the submission deadline for master’s exams, theses, or dissertations.. Send them to UOS@Metaphysics.com. (Remember theses and dissertations must be submitted electronically). March 31, 2019, is the submission deadline for bachelor’s exams. Send them to UOM@Metaphysics.com. April 3, 2019, is the room reservation deadline if you plan to stay at Poco Diablo where the IMM convention/graduation is being held to receive the discounted rate. April 11, 2019, is the cut-off for ordering caps and gowns. However, we recommend you order them much earlier, so you have time to try them on and return them if they don’t fit. You may attend graduation only, which is on May 9; however, you must still register for the conference and pay the full conference fee. Seating is not limited for “walking” at graduation on May 9, but it is limited for the conference portion of the event. Many Convention attendees combine their time here with their family vacation, as Sedona is one of the major tourist destinations of the world—and some have called it the Metaphysical Capital of the world. Aside from the breathtaking beauty of the massive, multi-hued, red rock buttes, pinnacles, caves, pools, mountainsides, and landscapes, visitors and locals alike can experience energy vortexes such as Cathedral Rock, Courthouse Butte, or Oak Creek Canyon (to name only a few). Each of these can be found by way of hundreds of hiking trails alongside the rock formations and the evergreens of the National Forest. Sedona averages three million visitors a year, mostly in the early Spring and Fall, and visitors come from all over the world, not only to spend time in the incredible beauty here, but also to visit nearby ancient cliff dwellings, petroglyphs and cave drawings, as well as the Grand Canyon, Painted Desert, and Petrified Forest National Parks / Monuments. 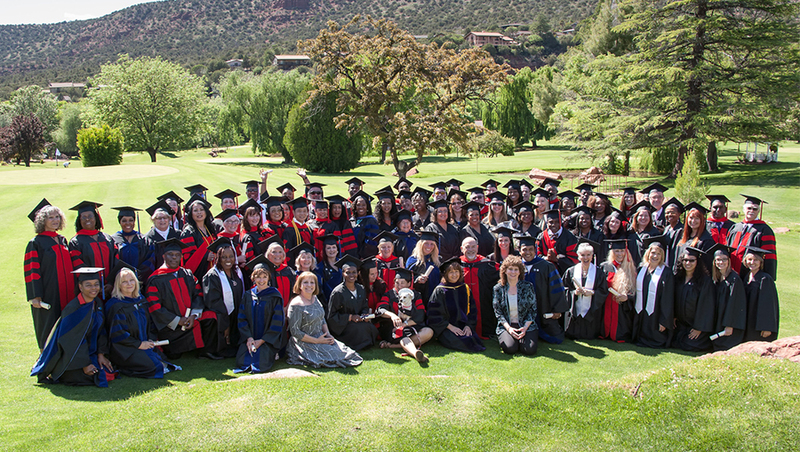 We look forward to welcoming you to Sedona and your participation in our celebration of your graduation!